Ahhh Sundays in Brisbane. A glorious, chilled out day when everyone and their dog gets out of the house to brunch it up to the max, clutching onto the weekend for dear life and usually nursing some sorry feeling heads from the night before. But brunch isn’t all this day is good for, so if you’re looking for an excuse to leave the pile of washing in the laundry for another day (read: week), we know just where to make the most of your day. Chicken-wise, we know this probably isn’t your first rodeo… but what about rotisserie? 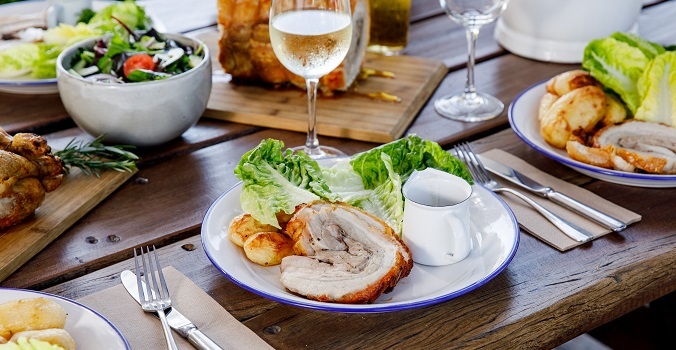 Introducing Rotisserie Kitchen, Victoria Park Bistro’s newest addition where lunch-goers feast on succulent half-chicken roasts and porchetta. Grab a drink and spend your afternoon in the stunning alfresco dining area, with sweeping city views to boot! If you love starting your Sundays with porchetta in one hand, and cocktails in the other, pop into Darling & Co for Bellini Sundays! These foodie maestros know there’s no fun drinking on an empty stomach, so not only do guests get to down bottomless bellinis for three hours, but they score a luscious main meal as well. The way to anyone’s heart is through flexing some mussels – the big bowls of mussels at Bar Alto in fact! There’s no better way to impress your friends and leave them feeling Sundayfied than by embracing Bar Alto’s decadent wines and succulent tapas over beautiful riverside views! 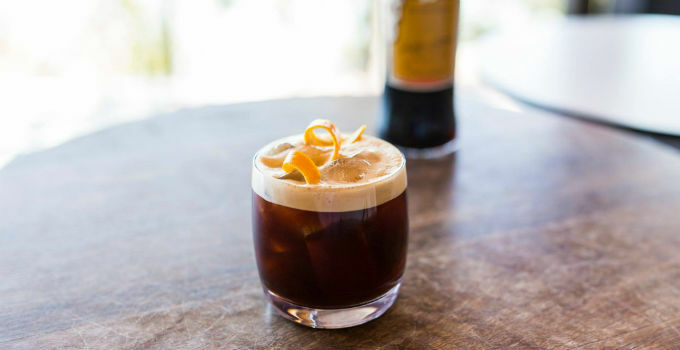 If on Sundays you like to partaay, then Fitz + Potts will have you feeling right at home! Their infectious tunes combined with craft beers and quenching cocktails on tap will have you breaking out the jazz hands in no time. And don’t get us started on the killer gourmet snags available during their balcony BBQ’s. Heaven IS a place on earth. To celebrate your last day of no-work freedom, freefall into Libertine! Now offering a long lunch complete with five courses and citrusy cocktails (until November 30), Libertine is living proof that there’s no better way to extend your Sunday then by lunching it out. If your bank account is crying out for next week’s pay check, and your wallet consists of pennies scrounged from the sofa, never fear. To get maximum bang for minimal buck, head over to the Fox Hotel for a classic pub lunch of crispy buffalo wings or crunchy salt n pepper squid. For a stylish weekend meal, check out the Scandinavian-inspired Lokal & Co restaurant and bar. The ideal spot to kick back in Nordic luxury, grab your closest danes and go dutch over their delicious pineapple fritters and potato waffles. We love our Sundays, and we love to snack! And there’s no better place to celebrate both than by nibbling on the delish tapas and offerings at Peasant. Salsa into Peasant for bowls of paella, $20 sangria carafes and $35 tasting boards. For those with very pacific tastes, row, row, row, your boats over to Regatta Hotel and anchor in at the Boatshed. 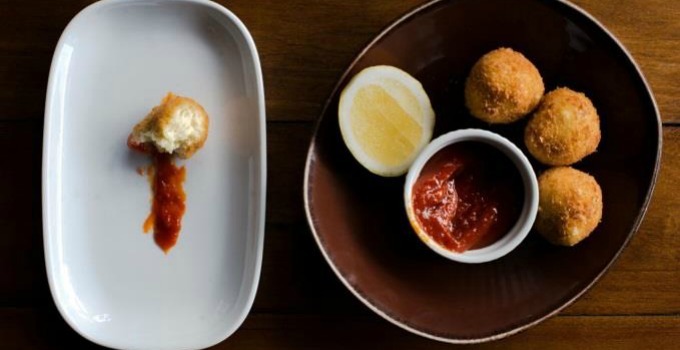 With a menu brimming with delicious seafood delights like Kilpatrick oysters and Hervey Bay scallops, this is one Sunday luncheon that you’ll want to sink your teeth into! Planning a big family brunch but feel like the time it takes to polish off eggs benedict really isn’t enough time to catch up on all the goss (‘Aww baby Grace is walking now? And you have how many videos to show me?’)? Keep the good times rolling, literally, with a game of barefoot bowls at the Red Hill Bowls Club after breakfast at Arthur’s Green. You can even stay hydrated with fresh juices, all after you’ve done the grocery shopping at the Red Hill Markets of course. Ready to kick Saturday’s hangover and delay those Monday blues? We’ve got you covered. - the gourmand who refuses to let the Monday blues kick in!